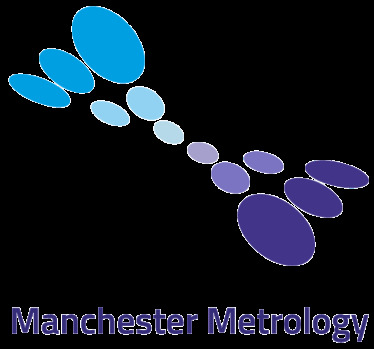 Manchester Metrology LTD are pioneers and innovators of metrology offering specialist contract measurement services using the latest metrology technology and equipment. Offering support across the UK and worldwide our attention to detail and helpful attitude towards our customers are among the many positive attributes which distinguish the company as a benchmark metrology company. 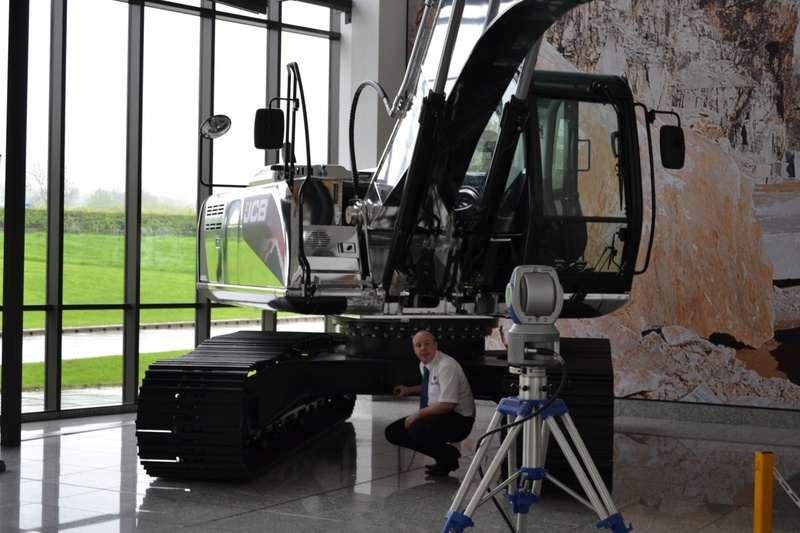 At Manchester Metrology our team of engineers are highly trained in the use of Faro arms providing onsite inspection services and support in many industries such as Oil & Gas, Automotive, Aerospace and Rail. 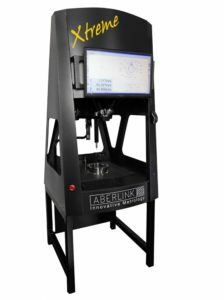 With our non contact HD Laser Scanners we can provide a CAD comparison service with detailed reports to suit customer requirements and also offer a Reverse Engineering service to produce true to form 3D data in .stl file formats and also full parametric CAD modeling in multiple file formats. 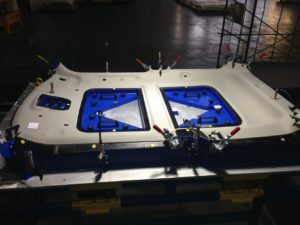 Using our Faro Vantage/ION Laser trackers, our skilled engineers are able to measure accurately large scale objects such as Jigs & Fixtures, Machined Components, Fabrications, Tooling and many other engineering processes. 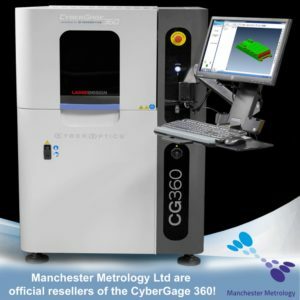 Whether you’re looking for a refresher, or are totally new to metrology, our experienced trainers have a structured course to suit your engineering processes/requirements, offering onsite or offsite tuition for up to 6 people on a variety of softwares such as CAM2 measure 10, Polyworks and geomagic. Our Xtreme CNC CMM stored in a temperature controlled environment provides a robust solution for precision inspection results. 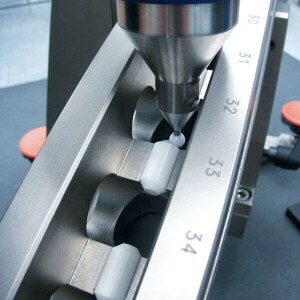 The unique CMM’s advantageous configuration ensures that it maintains its accuracy at very fast measurement rates and does not suffer from the accumulative inaccuracies that occur in conventional 3-axis Cartesian designs. Dramatically Speeds Up Quality Assurance of In-Process Inspection and/or Incoming/Outgoing parts inspection; Lowers Cost of Quality & Speeds Up Product Time-to-Market. The Focus3D X 330 is a high-speed 3D scanner with extra-long range. it can scan objects up to 330 metres away even in direct sunlight. 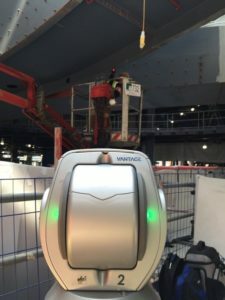 With its integrated GPS receiver, the laser scanner is able to correlate individual scans in post-processing, making it ideal for surveying based applications. 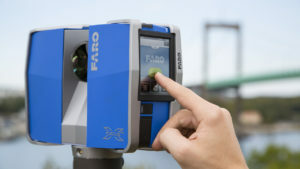 With the use of our Faro and Leica laser trackers with a range of 320 meters, we can provide accurate alignments of shafts, bearings, machine centres and motors to gears, where there is no reference data such as CAD or drawings, this is a necessary requirement for industries such as manufacturers of submarines and power stations. 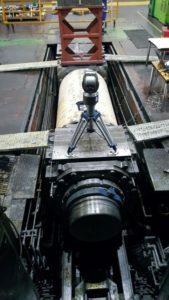 Large Rolling mills and other forging mills can be aligned back to their original nominal state by multiple station moves with a Laser Tracker and Spatial analyzer software’s capabilities of bundling reference data in a network to minimize the error sometimes seen in large scale measurements. Using a Laser tracker and our bespoke floor marking unit. 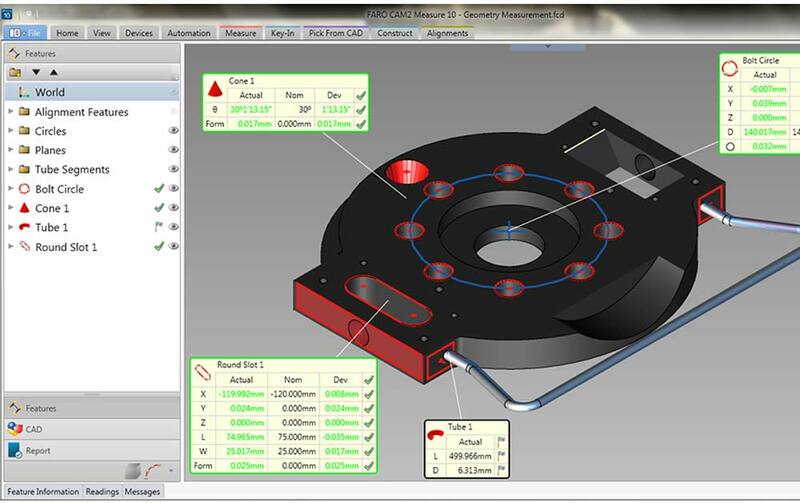 X, Y, Z Coordinates of floor plate edges or holes are loaded into the software and automatically position in a sequence predetermined by the user. 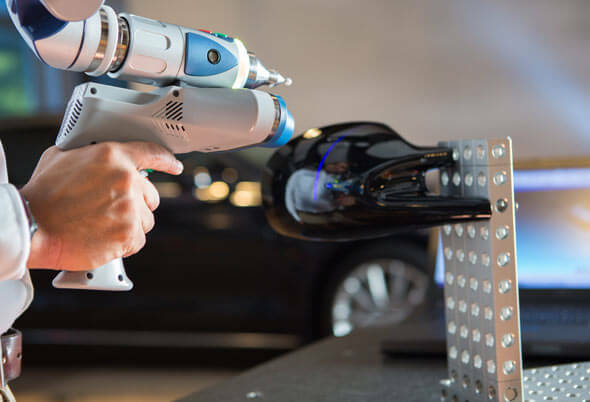 Robots, mainly in the Automotive industry can be calibrated with our Laser trackers to required accuracies stipulated by the specific customers’ requirements. 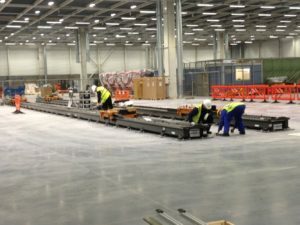 Any size of Jig and Fixtures can be calibrated with our Laser trackers and Portable arms. Jigs and fixtures can be calibrated to CAD models or simple X, Y, Z Coordinates and GD&T requirements specified in drawings and ISO British standards.